When it comes to measuring ice loss at the poles, and predicting what might happen next, scientists need as much accurate data as they can get – and a new study suggests there's a big source of geothermal heat underneath East Antarctica that we haven't yet factored into our calculations. Ice in this area appears to be melting from the bottom up, according to radar readings taken by an aircraft flying over the frozen continent. The radar was able to penetrate through three kilometres (nearly two miles) of ice to map the conditions underneath it. As the base of the Antarctic ice sheet melts, meltwater drains away and fills up subglacial lakes downstream. While this process might not be a major contributor to ice loss right now, the international team of scientists says it could cause faster melting in the future, as water and ice can escape more easily. 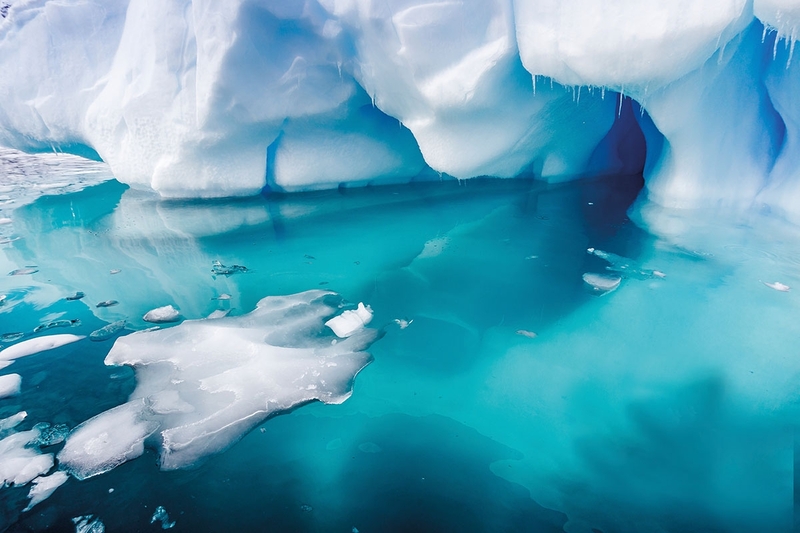 "The process of melting we observe has probably been going on for thousands or maybe even millions of years and isn't directly contributing to ice sheet change," says lead researcher Tom Jordan, from the British Antarctic Survey (BAS). "However, in the future the extra water at the ice sheet bed may make this region more sensitive to external factors such as climate change." The team of experts thinks radioactive rocks and hot water spurting from inside Earth's crust is contributing to this additional melt, based on observations taken up to 750 kilometres (almost 470 miles) inland from the shore. Without the latest in radar technology, we would only have surface observations to go off. The PolarGAP project that this research is part of is designed to fill in some of the gaps left by readings taken from the now-retired GOCE satellite. As you may remember, data from GOCE – the Gravity Field and Steady-State Ocean Circulation Explorer – was used to map the terrain under Antarctica in a study published earlier this month, by measuring slight fluctuations in gravitational pull. Being able to map the hidden contours and key sources of heat underneath the ice sheet is crucial in working out what will happen to Antarctica in the years to come. And now the PolarGAP project has provided some vital observations as part of that mission. We can't be sure what's causing the melting, but the hot rocks and heated water hypothesis seems the most likely – which future studies can take into account. It's not the only newly discovered source of heat under Antarctica either. A study published last year suggests an extensive amount of underground heating is going on in West Antarctica too, perhaps melting ice faster than it can accumulate. Back in July scientists announced they had spotted what could be yet another volcanic heat source underneath Antarctica, this time beneath the Pine Island Glacier. It's worth repeating that scientists aren't suggesting these heat sources will suddenly turn Antarctica to water in the space of a few years, but they are extra factors to make allowances for as we measure the ongoing effects of climate change. As geothermal heat sources such as the newly identified one have likely been around for a long, long time, we're not off the hook when it comes to causing accelerated ice melt at the North and South Poles. 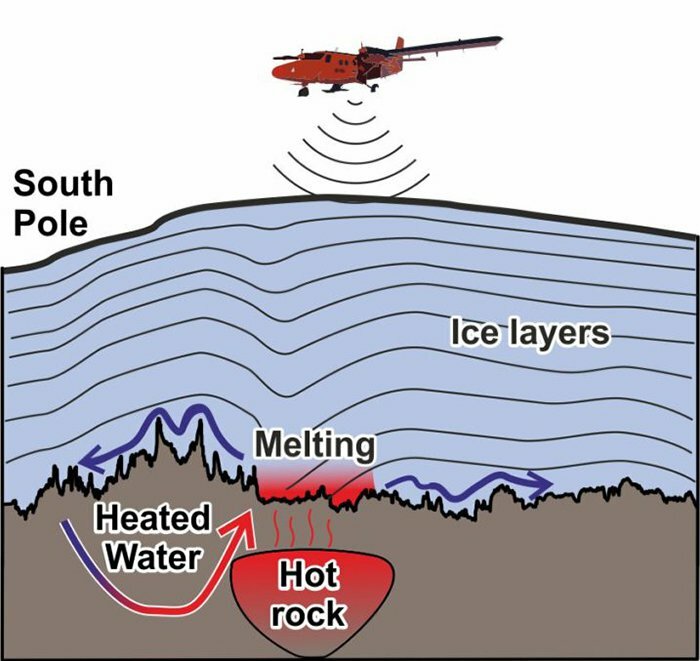 The next step is working out how these hot rocks could influence the ice shifts of the future. "This was a really exciting project, exploring one of the last totally unsurveyed regions on our planet," says Jordan. "Our results were quite unexpected, as many people thought this region of Antarctica was made of ancient and cold rocks, which had little impact on the ice sheet above." "We show that even in the ancient continental interior, the underlying geology can have a significant impact on the ice."